Umar Amin is a Pakistani cricketer who plays as a batting all-rounder for the national team. He was considered a future star when he burst onto the scene while playing Under-19 cricket. Amin was born on 16 October 1989 in Rawalpindi, Pakistan. He is a left-handed batsman and right arm medium bowler. Amin's father wanted him to play cricket as it was his passion. He started playing at a young age of 12 years and worked his way diligently to the Under-16 side. He made his first-class debut for Rawalpindi against Pakistan International Airlines in November 2007 at Rawalpindi. He scored a total of 145 runs in the match and announced his arrival in great style. 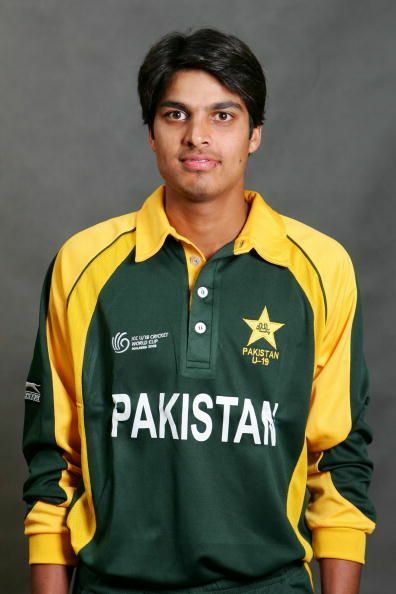 Consistent performances resulted in him being included in the Pakistan Under-19 team and represented his country at the 2008 ICC Under-19 World Cup in Malaysia. He could only manage 85 runs in five matches but continued to perform well in domestic cricket. Amin made his international debut for Pakistan in an ODI in Asia Cup against Sri Lanka at Dambulla in June 2010. He scored seven runs off 25 balls in the match. He made his test debut the next month against Australia at Lord's. He scored a total of 34 runs in the match. He did have a good T20I debut against West Indies at Kingston in July 2013. After a series of good performances in domestic cricket, Amin was included in the Pakistan A side and toured Australia with the team. Despite being hailed as the best young Pakistani batsman by many former Pakistan legends, Amin could play only a handful of international matches initially in his career and was dropped due to inconsistency. He toiled in the domestic arena and gave some strong performances in domestic cricket. In the 2012-2013 President's Trophy, he was the top scorer, including an innings of 281 runs in the tournament. This resulted in his recall to the national team for the 2013 Champions Trophy. However, the only prominent innings of his career has been the innings of 47 runs off 41 balls against West Indies on T20I debut which was the highest score among Pakistani batsman in the match which Pakistan won.